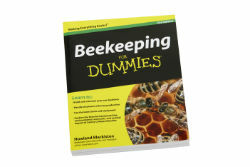 The 2nd Edition Beekeeping for Dummies is a comprehensive training guide for all things beekeeping. The book will walk you through the tools of beekeeping, the steps necessary to build and maintain your own beehives, and the phases of honey production and extraction. It also provides new information on mites and the causes and effects of Colony Collapse Disorder.